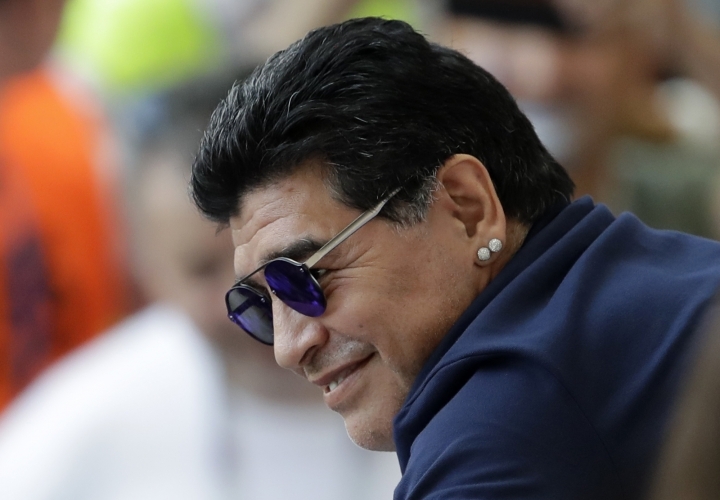 BUENOS AIRES, Argentina — Diego Maradona's lawyer says that the former soccer star and current coach of Mexican club Dorados of Sinaloa will legally recognize three children that he fathered in Cuba. Lawyer Matias Morla told Argentina's Channel 13 television on Friday that he speaks with his client's Cuban children, who were born to two different women. The ex-captain of the Argentine national soccer team also has five other kids. Asked if Maradona had legally recognized his children on the island, Morla said: "To date, no. But he is going to take care of what he has to do." Morla didn't give more details but suggested Maradona "would have to appear in court" in Cuba. The Associated Press could not immediately contact the lawyer, who acts as Maradona's spokesperson.